Shown in this photo are three light colors for the L.E.D. strip lighting. From Top to Bottom the tones are Warm White (30 L.E.D./m), Cool White and Blue (both 60 L.E.D./m). The latter is available in both 30 and 60 L.E.D.s per meter offering a variety in light intensity. <="" div="">For a number of years, RV Manufacturers have been adding accent lighting around window trim, along the floor areas, under cabinets and in ceiling accents. Until recently, this lighting has been incandescent lighting, often encased in clear vinyl plastic tubing. With the rise of L.E.D. Technology, there has been a shift to using L.E.D. strip lighting. As manufacturers become more comfortable with this lighting, they have expanded their use to areas around kitchen and bathroom sinks, around the lower side of countertops, embedded in kitchen backsplash areas and along the floor under cabinets. <="" div="">The outside areas have also become lit with L.E.D. strips on awnings, both along roof mount awnings areas as well as on the roller tubes. Many manufacturers have added underbody accent lighting often in multicolour L.E.D.s with hand held remote control. Some recent innovations have accents under slideout rooms, around front and rear engine and generator compartments, in addition to accent lighting around headlights and tail light areas. <="" div="">The challenge has been to install high quality, long lasting L.E.D. 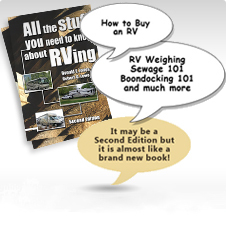 that will withstand the riguers of RV travel without losing one or more L.E.D. bulbs to the vibrations of travel. Keeping the strips from falling off their mounting surfaces. Weather infiltration has also been a cause of failure. <="" div="">Today's technology has provided the solution. RV Parts Plus is pleased to offer UL52 Listed L.E.D. strip lighting in Cool White, Warm White and Blue colors. In addition, the light intensity can be varied depending upon the number of L.E.D.s per foot (or meter). Control systems allow dimming and turning these strips on and off from a central remote control, often with something as small as a key fob remote. Contact us for information on these remote controls. Call us for more information on these Remote Control options. <="" div="">Check out our selection and get creative! Note: These light strips can be joined together to increase length or cut at points every 2" (5.0 cm) to shorten one. The cut-off portion can be used in another location by simply connecting a 2 wire connection to it. Always protect these strips with a fuse reflective of the current draw with some extra capacity. Typically, a single strip will need a 5 Amp fuse, two together would require 7.5 Amp, and three would need a 10 amp fuse. Contact us for more information. Super Small: Fits almost anywhere! LED Strip Lighting & ACC.